How often do you do the above? Put up your feet on you work table and take a small nap? Well, if you do it often, you are in the habit of taking a snooze. 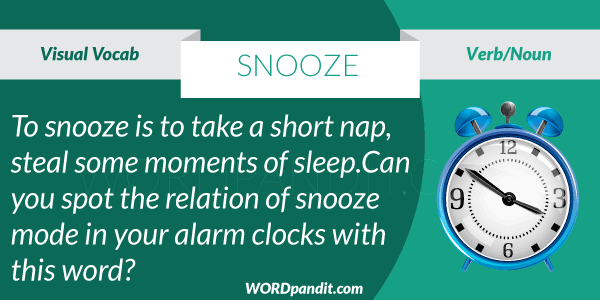 Snooze carries the following dictionary definitions: a large quantity. 1. Office work is such that it induces natural snoozing sessions. 2. Snoozing while studying is a common phenomenon across children of all age groups.